We shall begin with an examination of your present time framework. What be this air that hangs so very strangely upon this time period presently that moves you all in a new, strange direction that is unclear? „What is my purpose? What is my direction? Where are we moving? What does our future hold?“ These are questions that have been presented to this essence and that all of the individuals presently upon your planet are inquiring of, for these are strange times … changing times, but interesting times! You engage presently what I have designated in my terminology as a shift in consciousness, which is occurring presently and escalating and is affecting of all of you individually and also en masse. Odd and peculiar events occur within your present time framework, and this moves more intensely as you move forward within your linear time. In this, waves occur in consciousness. Let me express to you that there is no separation within consciousness, and although you view yourselves to be separate individuals, and within this reality objectively you are, you are also not. You are all interconnected within consciousness, and you hold no separation. You all hold affectingness to each other en masse and individually, and in this you share many experiences. Presently, within this now, a wave is occurring within consciousness which is directly involving this shift in consciousness. Many individuals are beginning now to be experiencing elements of trauma and confusion. Now; let me also express to you that as I have expressed many times previously, the reason that I speak with all of you is to be offering information in regard to this shift in consciousness, and in that to be affecting in lessening the trauma that shall be associated and IS associated with this shift. And now, it begins. 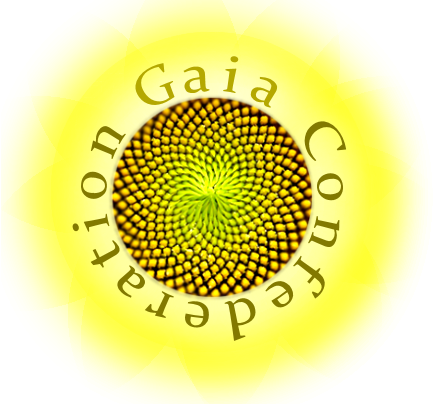 I have been speaking for a time period with many individuals as to this shift in consciousness, but I have also been offering information to all of these individuals of self, that they may better understand their individual selves and interactions and therein hold a greater understanding of the action of this shift in consciousness. This shift is global. You have agreed within essence to be creating a new type of reality within your particular dimension, which is this, and in this physical manifestation you have exhausted your wonderment with your experiences that you have created previously, and now move into a new area of experience. What is your purpose within this dimension? Your purpose is to be manifesting for the experience of physical focus within a dimension that is focused upon the sexual and emotional aspects of physical experience. Experience is your purpose. (Grinning) You have no mission. You have no method. You have no process. You are not in school. You are not upon a lower plane, and there are no masters that are above you that are guiding you along your path, for you have no path! You merely hold experience. You are essence. You each before me presently are an individual focus of your essence. You are a focus of attention of your essence, and your essence holds countless focuses of attention. This be important for your information, for within the action of this shift these focuses shall bleed through to you, for there is no separation and for you are loosening the veils in consciousness that you have held throughout millennium in this particular physically manifest dimension. You create seasons of actions. You create seasons of waves that you respond to. Within your physical seasons of your year, you also create a wave season; a cold season, a flu season. This is a creation of a wave that you participate within en masse. You all individually create this, and in agreement en masse you manifest this. Individually you create your own individual expression or participation within this wave, or you choose not to participate within the wave. You always hold the choice to participate or to not participate, but the wave of energy in consciousness holds such an intensity that many individuals DO participate within these waves. No, you do not. You merely participate. Subjectively you DO choose for your own reasons, and those reasons shall be beneficial to you, for you do not choose any experience within your focus that is not beneficial. It may not hold pleasantness; it may not hold joyfulness. It may hold uncomfortableness or distress, but it is beneficial. Beneficial is not positive or negative. In actuality, there is no positive or negative! There merely is choices of experience. (Intently) No other individual creates for you. You create your reality individually. Every aspect, every element of it, you create. You draw yourselves to other individuals‘ creations, but you are creating of this also, for you are drawing yourselves to their creations. Therefore, you are participating and you are within agreement. Within this present now, this wave which is occurring, and has not crested presently yet but continues to build and accelerate, is affecting of individuals in different manners. If you are experiencing conflict within relationship, if you are experiencing conflict within business, if you are experiencing conflict or confusion within self, within understanding, within belief systems, this is connected to this wave, and you have created a choice to be participating within this present wave in consciousness, and this also is directly related to this shift in consciousness. The base element of this shift in consciousness is to be identifying, recognizing, and addressing to the belief systems that you hold and to be accepting of these belief systems — not eliminating, not altering, not changing, but to be accepting of these belief systems, which therefore renders these belief systems neutralized, which shall be creating of this new establishment in consciousness; for if you are not affected by those belief systems that you hold, you allow yourselves the opportunity to open to your awareness and you allow yourselves to view more of your reality. I have stated many times, this shift in consciousness is limited to this dimension. This is YOUR choice within this dimension upon this planet in this reality, and in this you may be allowing yourselves to drop these veils within your singularly focused attention and allow yourselves to be interactive and viewing of so very much more of your reality that you create within essence. This offers you the opportunity to view and participate within the action of transition, which until recently, so to speak, in relative terms, individuals have chosen merely to engage the action of transition after disengaging physical focus. But within this action of being birthed and an emergence, you enter into an action which is termed to be a transition. This transition is to be shedding completely of the objective awareness and the belief systems held within the objective awareness, that you may re-emerge — not newly emerge, but re-emerge — yourselves into non-physical focus and move into whatever direction you choose to move within, for you are within a continual state of becoming, and that is what you are. Therefore, if you inquire, „What am I?“ or „Who am I?“, you are essence and you are within a continual state of becoming. This is consciousness. This is essence. This is you. As to this wave and its affectingness and your participation within it, you may also be choosing to be participating within this wave but not within conflict, and in this you may be creating of tremendous excitement or elation, heightened senses, a time period of heightened awareness, but you also shall be addressing to belief systems, for this is the action of this particular wave. This be the reason that more individuals are presently experiencing confusion and conflict, for they are addressing to their belief systems. All of the creations that you engage that you view to be negative or confusing are those that are addressing to your belief systems. All of those experiences within this time framework that you choose to engage of heightened senses and elation or excitement are the acknowledgment to yourselves that you have been addressing to belief systems, and this is your validation that you are accomplishing moving through elements of your belief systems. Therefore, there may be different expressions, but the action is the same. It is merely dependent upon your position and how you have addressed to your belief systems … or not addressed to your belief systems! In this, let me be clear in expressing to you, these waves have been moving more frequently within what you would term to be a recent short time period. Within your recent few years this action has been accelerating, and now you move into an immense wave addressing to that very core of the action of this shift in consciousness, and that is the addressing of belief systems, and in that, the most affecting belief systems are those of duplicity and acceptance. You all hold the belief system of duplicity. There is no individual upon this planet within this dimension that does not hold the belief system of duplicity, but in moving into the areas of acceptance, you also move into the area of accepting of duplicity automatically, in part, and therefore begin the neutralization of this belief system, which holds the greatest stronghold with you. You believe that you are good and bad simultaneously, and this is duplicity, and you believe that all other individuals are good and bad simultaneously. This is duplicity. And no individual is good and bad, for there is no good and bad! It is merely choices of experience. There is no element within your dimension — there is no element within essence — that is good or bad. You merely hold belief systems that express this to you that you believe, and you create your reality in accordance with this, and this perpetuates the lack of acceptance within self and within other individuals, and this creates conflict and the perpetuation, and over and over and cycling and circling and continuing. And this be the action of your shift, to be altering of this reality and recognizing the reality that there is no right and wrong, there is no good and bad, and there is no necessity for judgment. And also let me express to you that each time you view yourselves or another individual to be right, you are creating a judgment. You do not merely create judgment in expressing wrongness, for each time that you express rightness, you also express wrongness automatically, for some element must be wrong if there is an element that is right! This is how you have created your reality and your belief systems, and it IS your reality and it is a very STRONG reality, and it holds to you very strongly and YOU hold to IT very strongly, and you resist the letting go of these belief systems, for they are familiar. And this is what you have created for millennium and this is what you recognize and this is comfortable, and although you express you are not comfortable, you continue to create uncomfortableness, for it is familiar, and in that it is comfortable. (Humorously) What is uncomfortable is the unfamiliar — strange beings visiting you, strange qualities within your experiences, and the „wooo“ (grinning) of all of the unknown elements that exist within your reality! You are leery of plunging yourselves directly into the middle of your Bermuda Triangle within your own home, but this triangle holds wondrous elements and within it you hold wondrous creativity! And this is what you magnate to presently, although you hold to your energy and you hold to yourselves in fearfulness, for it is unfamiliar and frightening, but it is wondrous also! And therefore, the knowing within you that you are so accomplished at NOT listening to any longer re-emerges within you and allows you the wonderment of your own remembrance; your remembrance of self, of essence, of what you are, and the amazement of your own unbounded creativity, which it is! Each of you holds wondrous gloriousness! There are no limitations to your accomplishments. There are no limitations to your energy. There are no limitations to your connectedness EXCEPT within the area of the holding to your belief systems, and as you hold to them you also create your own limitations and you do not allow yourselves to view the wondrousness of what you have created within this dimension. This particular dimension is exceedingly diverse, and you have offered yourselves within this particular dimension the opportunity to explore immense creativity and creations. Look about you at what you have created already! And now you move into the area of not expressing outwardly in the creation of your planet, of your world, of your inventions, of your expressions, but now you move into the MORE expansive area of creativity, in expressing what you are and who you are and what you may access. You hold presently the ability to access ALL of your focuses of essence. The veil is very thin. You have created this! You may access other areas of consciousness, not within „chanting trances“ (grinning) but within your objective waking state, that which you manipulate so very well and have accomplished so very well within. Within your objective expression, you may expand now. It is not limited to creating outside of you, but may manifest in what you may view to be outside of you as projected by within you, as accessed from within you. But in this, your key is to be addressing to these belief systems, and the most powerful of these, as I have stated, is that belief system of duplicity, which blocks you tremendously en masse and individually. Acceptance is the lack of judgment in any area, which may be sounding quite simplistic to you all, but I shall be wagering to express to you that your accomplishment objectively of this action shall not be quite so easy, (laughter) for you shall find yourselves within situations every of your days expressing a lack of acceptance, either to yourselves or to another individual. But be assured, this also is not negative! This is your OPPORTUNITY to engage this action. This is your opportunity to express to yourself, „This be not bad; this be not good. This be my opportunity to create my choice.“ For as you allow yourselves the hold of your belief systems, you also limit your choices and you express that you do not hold choices. You are bound; you MUST be. You must not be! I express to you, extremely not! You merely believe that you are locked, but you are not, and each opportunity that you present yourself within, within each wave, offers you the viewing of new choices. You need only relax momentarily and stop momentarily and view your own action; NOT view another individual’s action, but view YOUR action and view YOUR belief systems, for it matters not the expression of another individual. This be not your responsibility. You hold enough responsibility for self, which is tremendous! Therefore, why shall you assume false responsibility for another individual? This shall be overwhelming! In your terms physically, you do not possess enough time to be assuming responsibility for any other individual upon your planet, for your time framework is consumed merely with your own responsibility. But you assume responsibility for other individuals, for this distracts you from the responsibility of self and allows you to not address to self, and also allows you to continue in your familiarity of your belief systems of duplicity and your belief systems in acceptance and the lack of that therein. Acceptance is the word; acceptance of self in recognition that you are not bad, that you are not good, that your expressions are not bad, they are not good. They merely are. If you are choosing presently within this moment — (chuckling deviously) shall we be shocking? (laughter) — to be engaging contrary to the belief systems that you all hold in areas lurid, shall this be bad? If you rise and move to this individual across and physically engage contact, shall we all be aghast? Of course, for these are your belief systems, but they are belief systems! If you all shall be engaging unacceptable behavior within this presence, oh my! We shall all be wondering if we have engaged lunacy, shall we not? No. You are merely creating choices for experiences, which are influenced by your belief systems and are judged by your belief systems. You adorn yourselves with apparel, for you hold a belief system that this is necessary and acceptable within your society. It is a belief system. It matters not whether you choose to be adorning yourself with apparel or not, but you hold belief systems that it matters greatly! (Laughter) Therefore, it is quite affecting. You carry this belief system farther by expressing that it also matters what type of apparel you shall be adorning yourselves with. My, we shall be very conscious of this aspect! Let me express to you, a belief system is as a bird cage. I have expressed this analogy previously, but I shall repeat it presently. 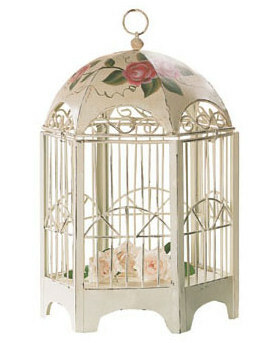 The bird cage is the belief system, but the bird cage holds many, many, many birds, and you may include many more birds into the cage, as many as you choose, for the cage expands and is accommodating of however many birds you choose to be placing in it, and it shall continue to expand, for it is quite accommodating. This is the belief system, as the cage. The birds are all of the elements of the belief system, all of the aspects of the belief system, and I shall express to you that each belief system that you hold holds very many birds and may be quite tricky with you, for many of the birds are hiding behind other birds that you may not even allow yourselves to view. The point of acceptance is to open the door of the bird cage and allow the birds to fly away. Therefore, you continue to hold the cage, but it is empty. The cage remains before you. You have not eliminated the cage, but the cage serves no purpose, for the birds are not contained, and in this it is merely a cage, an object for you to view and not maintain and not interact with, but merely just view, and in this you may express your opinion of the cage: „I view this cage to be quite lovely. I view this cage to be quite distasteful.“ But it matters not, for it holds no purpose. It holds no function. There are no birds contained. And as the birds are allowed to fly away, they are transformed within energy and are no longer birds. Therefore, what shall you replace in the cage? There are no birds to put in the cage. It is merely an ornament. (Intently) This be an action of your shift. This be one of your most affecting aspects of this shift in consciousness which shall be the most liberating of you, for in this action you allow yourselves to divert your attention, which has been held so singularly to your belief systems, away from the cage, which is merely ornamental. Therefore, in opposition to viewing this one cage within your room, you allow yourself to view the room. You allow yourself to view the vastness of all that is around the cage that you have not allowed yourself the openness in your attention to view, and all the wondrous creative elements that reside in that space, so to speak, that you have not viewed, for your attention has been directed to the cage and all of its birds.